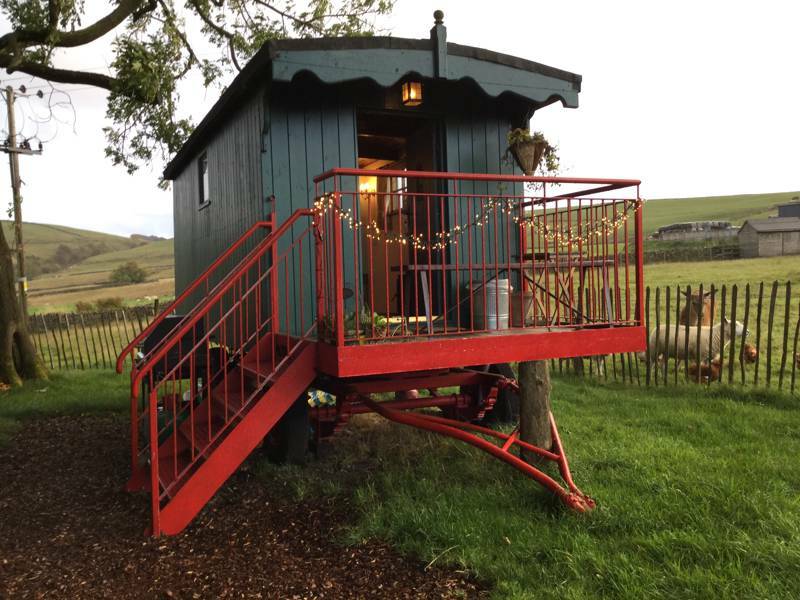 When we think about glamping in the Peak District it's fair to say we hit peak excitement! The place is a veritable playground for lovers of the great outdoors. Mountains, moors, lakes and reservoirs; if you want a proper holiday in the British countryside you needn't look any further. And, as with all things in the busy modern world, nowadays you can still have that experience but without all the extra faff that something like regular camping brings. And that's where we at Cool Camping come in. We've been out and about in the Peak District, to bring you the best pre-pitched accommodation, so that you can turn up in the hills, without all your kit and clobber, but still enjoy a fabulous night outdoors. Tipis, yurts, safari tents, pods and shepherd's huts are all on offer, with new glamping sites opening in recent years that push the boundaries of luxury outdoor accommodation. 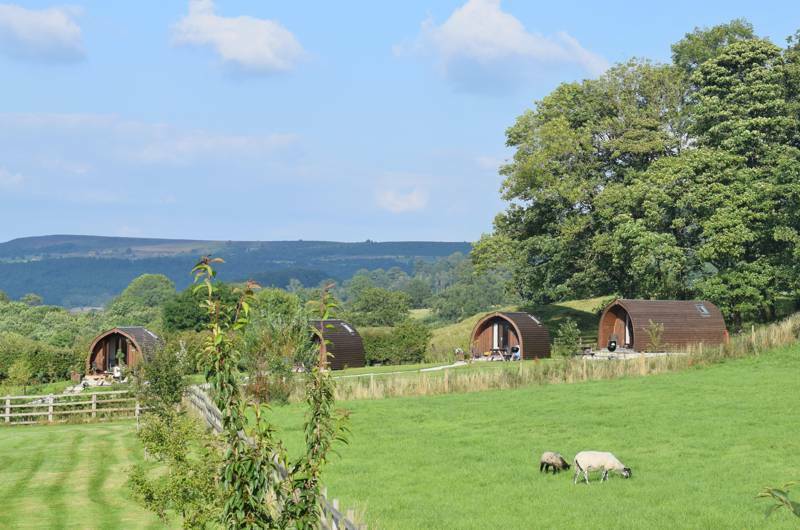 So if you're looking for a glamping site in the Peak District you've come to the right place. 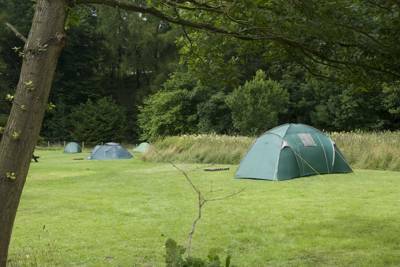 There's no hard and fast rules to glamping accommodation in the Peak District. Unsurprisingly, building restrictions within the national park are tight and result in a trend towards temporary, removable structures. 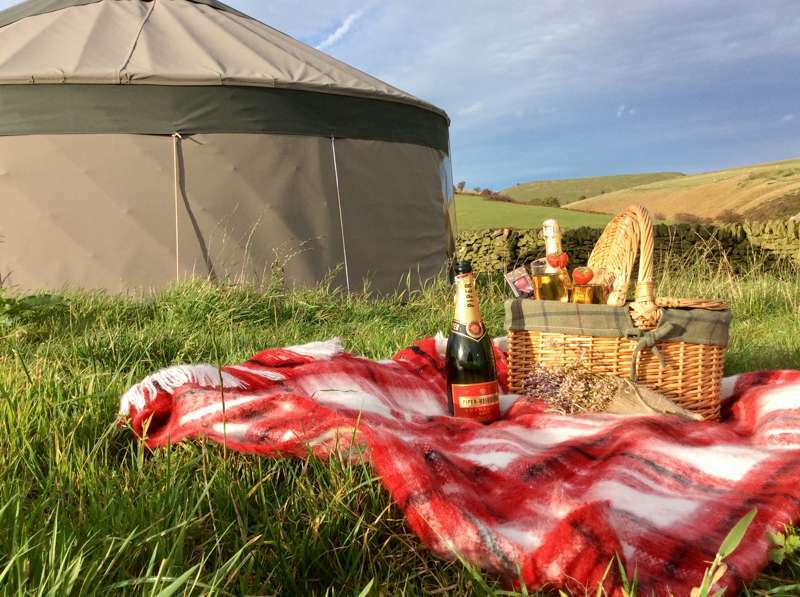 Bell tents, for example, are very popular – light, simple and easy to move around – while yurts are also a great temporary structures that can be utterly transformed into a luxury getaways (think king-sized beds, hot tubs and wood-burning stoves). There are, however, plenty of more sturdy year-round structures too and, even in the dead of winter, you'll find cosy places to go glamping in the peaks. Insulated pods are an excellent option in cooler months, some are en-suite so you needn't even walk to the lav, while shepherd's huts are perhaps the most romantic option. Nothing beats warming around a wood-burner and looking out the window to the mountains beyond. Shepherd's huts also have a real connection to the countryside, with their centuries old history connected to farming and working on the land. Not every glamping structure fits into a specific category though. 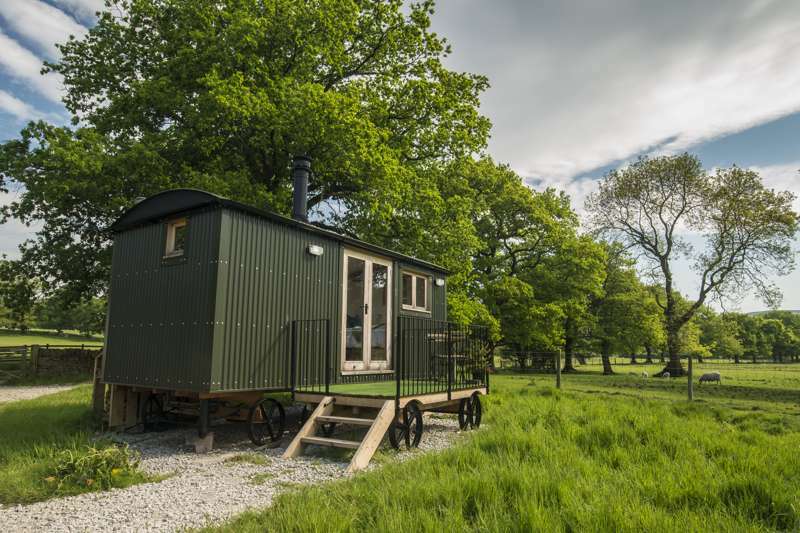 Across the UK, glamping sites are turning to more and more imaginative options. There are multi-storey treehouses, specially converted shipping containers, refurbished gypsy caravans and ancient railway carriages. Whatever type of glamping accommodation you're after, we're sure there'll be something out there to suit. And by searching here on the Cool Camping website, you've certainly come to the right place. In the heart of central England, covering an upland area at the southern end of the Pennines, the Peak District is a vast natural marvel, a mountain wonderland that was recognised as a National Park in 1951 – the first in the UK. It is almost entirely in Derbyshire, though it also includes a small part of Cheshire, Greater Manchester, Staffordshire and Yorkshire. The park's proximity to several cities – Manchester, Sheffield, Derby and Stoke-on-Trent – attracts millions of visitors every year. Despite this, however, you can go walking in the national park and spend entire days, roaming across the peaks without meeting another soul. It is an area of great geological and natural diversity. The northern Dark Peak area is home to the majority of the national park's open moorland, with underlying gritstone forming great rocky edges that protrude from the hills – a huge draw for rock-climbing enthusiasts. In the south, meanwhile, the White Peak area has underlying limestone, forming famous caves and gorges, and shaping the mountainous, sheep-dotted landscape. Go for a walk: The Peak District is home to some of the UK’s finest landscapes in an area the size of Greater London. Breathe in the fresh air, soak up the views and enjoy days outdoors in an open landscape where you can easily roam for hours without bumping into anyone else. Take afternoon tea at the Palace of the Peak: Visit Chatsworth House, the home of the Duke of Devonshire, where you can explore the 1000-acre estate, finely landscaped gardens and ever-changing exhibitions, along with a treasure trove of artwork that is there all year round. Explore the intriguing underworld of Castleton’s caves: The Derbyshire caves are the only place in the world where you can find the semi-precious Blue John stone. Take an underground boat trip to the Bottomless Pit in Speedwell Cavern to spot stunning stalagmites and stalactites. Feast on Bakewell Pudding: In the heart of the national park, journey to the village of Bakewell, home of the world-famous delicacy, first made by accident in the 19th century. Discover Bronte country: The Peak District provided amble inspiration to Charlotte Bronte as she penned her famous novels. Walk the Bronte Way or visit Haddon Hall, said to be the best example of medieval manor house in existence and the set of no fewer than three film versions of Bronte’s tales. 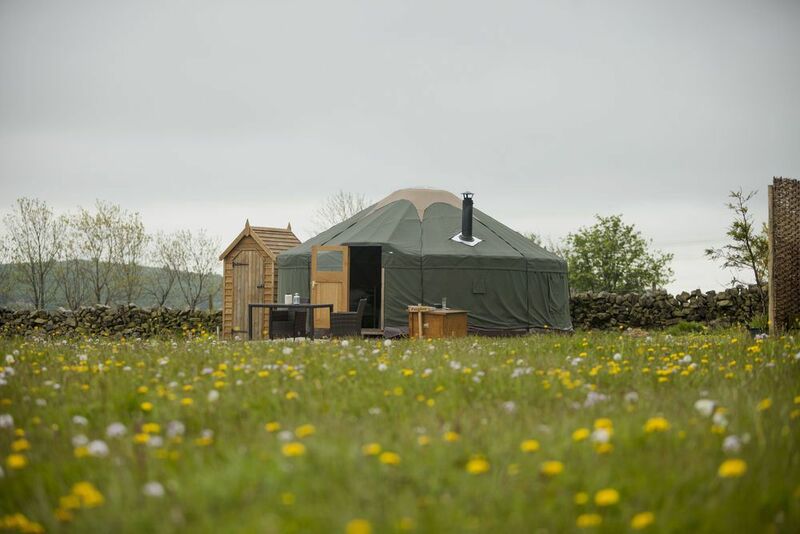 peak district national park glamping camping safari tents yurts tree-houses shepherds huts at Glamping in the Peak District, From mountain sides to valley bottoms, discover the best glamping sites in the Peak District now – all specially selected by the experienced Cool Camping team. Find the best glamping sites and book them all here at the very best price.